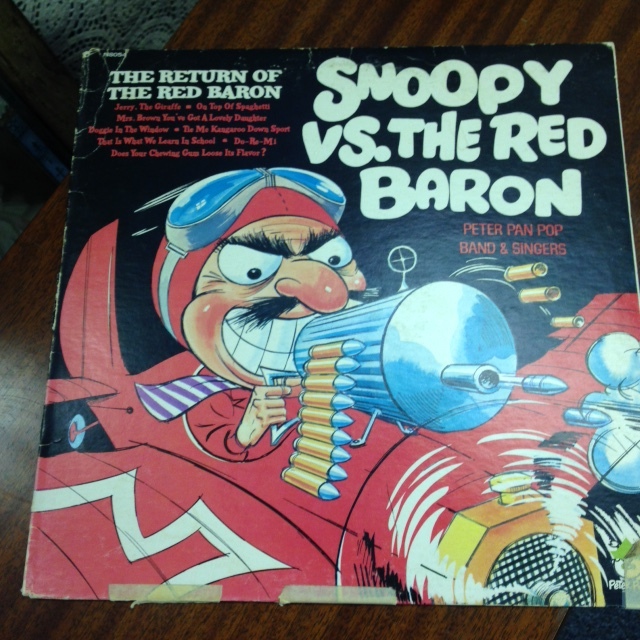 Snoopy vs the Red Baron and Other Great Memories! 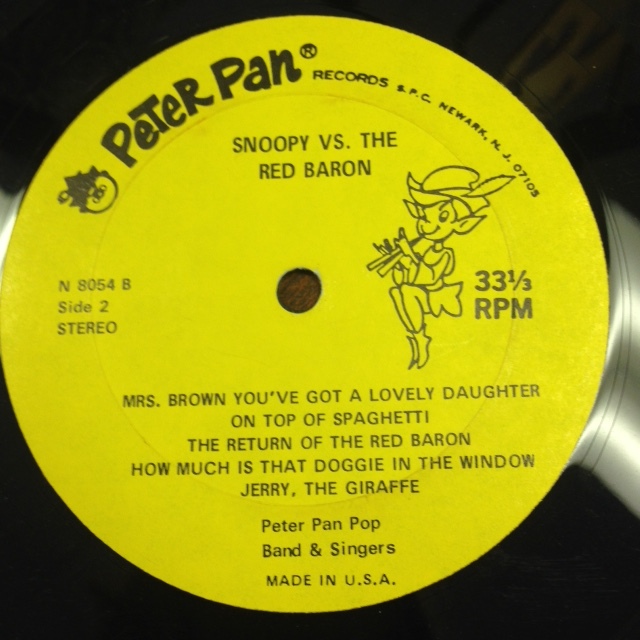 Songs include: Snoopy vs the Red Baron, Do Re Mi, Tie Me Kangaroo Down Sport, Mrs Brown You’ve Got a Lovely Daughter, Doggie in the Window, and more great oldies! 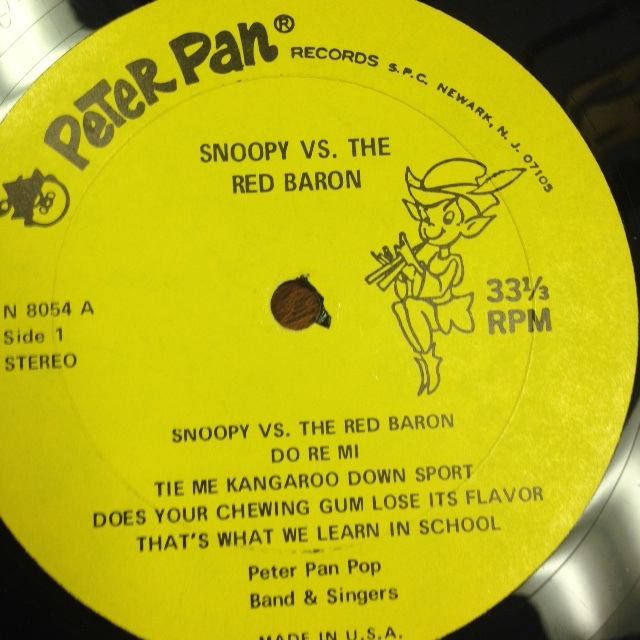 Condition: The jacket has been taped at the bottom but is otherwise in good shape. 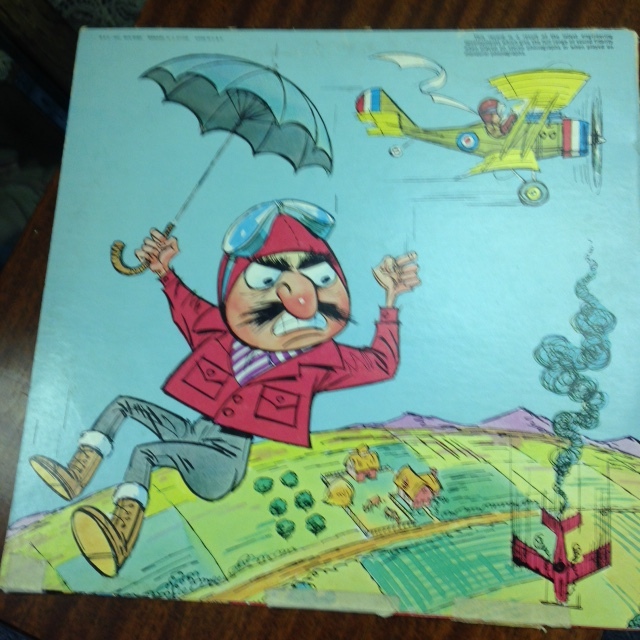 Price: Just $15.00 at Heritage Collectibles. Plus 5.5% Maine State Sales tax. 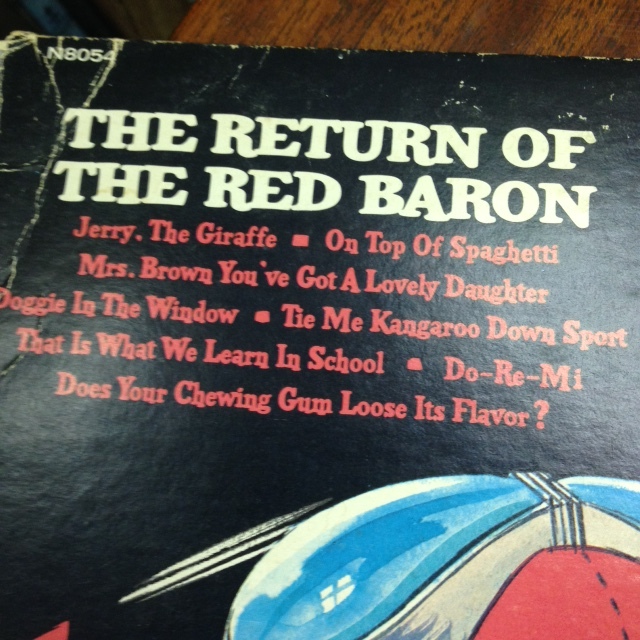 This entry was posted in Comic Book Characters, Music - Sheet Music, Instruments & Ambiance and tagged 33 1/3, Does Your Chewing Gum, Doggie in the Window, Lovely Daughter, M, Mrs Brown, Peter pan Records, record album, Snoopy, Snoopy vs the Red baron, Tie Me Kangaroo Down Sport. Bookmark the permalink.